Consumers are living in a land of ‘complete deception’ if they think the industry can produce enough food to feed an extra 2 billion people by 2050 on a ‘business as usual’ basis. Jonathon Porritt, founder director of Forum for the Future. 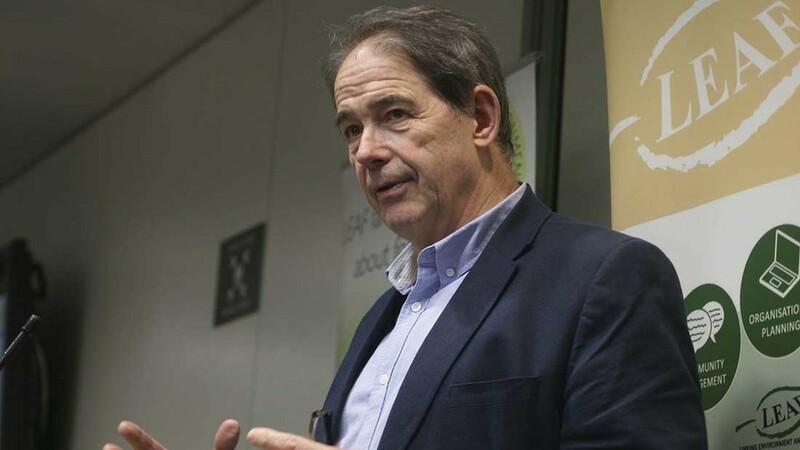 Jonathon Porritt, founder and director of Forum for the Future, told delegates at the LEAF Marque summit, M&S headquarters, yesterday that this type of attitude was jeopardising the transformation of sustainable food. He warned consumers were living in what he called a ‘productivist fantasy’ which encouraged more people to continue in a ‘fog of illusion’. He said: “Anyone who supposes we will be able to produce enough food in the way we produce it today for something like an additional 2.5 billion people is living in a land of complete deception. It came as LEAF announced substantial progress in its mission to inspire and enable sustainable farming in its fifth Global Impacts Report. Mr Porritt spoke in favour of sustainable farming but argued the problem surrounded the number of consumers who lacked a high level of knowledge and understanding of what the process involved. He said consumers needed a push in how to make their ‘limited purchasing power’ work for the future they want. He added: “Retailers need to say ‘we have a problem’. “Not enough purchasers understand the efforts that are being made on their behalf by farmers, producers, retailers – the supply chain in general – to raise standards year on year. “There is a particularly cruel story unfolding which is that we in the west, most consumers, expect to have the same quality, at the same price and the same reliability but much more sustainably and to have it as cheap as chips. “What are we going to do about that?”. Emma Keller, WWF-UK agricultural commodities manager added: “We have seen brands that do not move or do not keep up with the times and they are not meeting supplier needs or customer demands – they are no longer relevant. She said the supply chain should be making sustainably sourced food mainstream, transformational and ‘unacceptable to be doing anything other than that’.